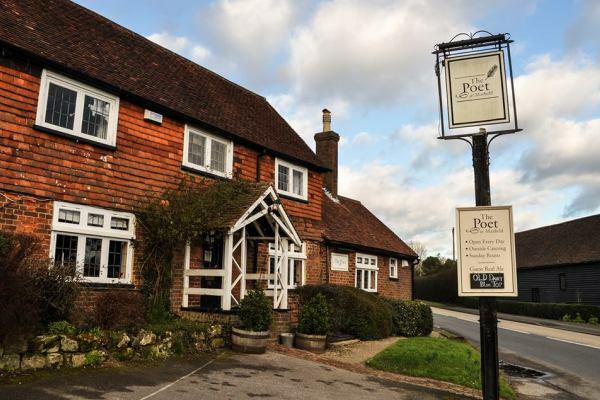 The perfect place for relaxed foodies, with a charismatic chef and located in the heart of a very pretty village – there’s loads of good walks on the doorstep. Named after the famous World War 1 poet, Siegfried Sassoon, whose family home was just up the road, The Poet offers very refined British fare. With its sophisticated menu this is another one for the foodies, each main dish is accompanied by a carefully-chosen wine recommendation and there’s craft gins on offer too. Chef Patron Petrus Madutlela and his team, has heaps of charisma and loves to show off his culinary flair – creating an imaginative array of contemporary British food cooked to order, sourced from the freshest, local produce. The Poet’s celebrity chef competed on Masterchef: The Professionals and was Judge of South African TV show The Ultimate Braai Master. However the pub itself has a very laid back feel – so you’d be equally as welcome to just nibble on some bar snacks with a glass of wine after a winter’s amble. Matfield is a very pretty village and there’s loads of good walks on the doorstep. If you’re a relaxed foodie this could be the perfect choice for you. It’s a pub that wants to put itself on the food map, so if you’re after a plate of plain old fish ‘n’ chips (hey, I’m not knocking it, it’s one of my fave dishes) you probably won’t find it here. Culinary delights come alongside a casual, local vibe which is a welcome alternative to the more stiff and starchy fine dining experience.